As many followers of the Scratchy Attic are no doubt aware, I have featured many posts of vintage Canadian country music. This post, while not Canadian, is nonetheless of great "local" significance to me. I live in the border city of Windsor, Ontario, mere blocks from the Detroit River, which is also the international border line. I can literally see the great towers of Detroit out of my window. 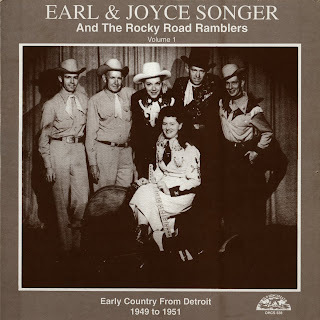 I therefore was most pleased when I discovered this fine LP of original recordings by Earl & Joyce Songer and The Rocky Road Ramblers, who were active in the Detroit country scene in the postwar era. Earl & Joyce were transplanted southerners who like countless others, both white and black, migrated northward to find work in the area's automotive industry. Informal music making eventually led to local careers as the demand for "hillbilly" music was driven by the waves of white southerners arriving in the area. The Songer's music is definitely unique and transitional, far more old timey than the typical major label country of the time. As the liner notes state "This is delightful, genuine music displaying roots of considerable diversity and Joyce recalls that they were given a completely free hand. There are reflections of early bluegrass stylings as well as 30's string band music, displaying the origins of the Songer's music. At the same time, their considerable writing skills are demonstrated in imaginative new honky-tonk and up-tempo songs." 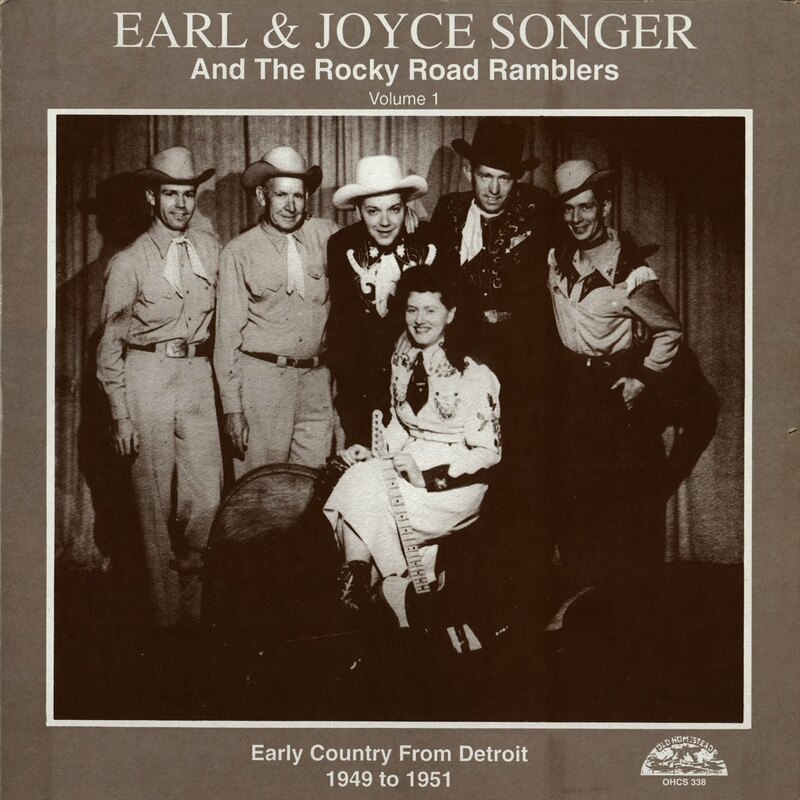 Perhaps the very contrast between the old rural and new urban life that marked the Songer's music is what led to their eventual musical and marital breakup; they divorced in 1955. The full account of Earl & Joyce's career is contained in this LP's wonderful and well written liner notes, scans of which are included in the download, along with sixteen original recordings. The notes also give approximate recording dates and session personel, and although no original labels are indicated, it is my understanding that these sides were originally released on the Fortune and Coral imprints.